Lead paint? Asbestos? Aluminum wire? Oh my! Follow my adventures down the yellow brick road of my first home renovation! This weekend I managed to wait in line for over 45 minutes with hordes of people in the Macy’s home department. Why you ask? Because they had a $10 off coupon that day and I managed to get caught up in the near black friday craziness that ensues when Macy’s sends out a coupon… even a coupon for only $10 off. 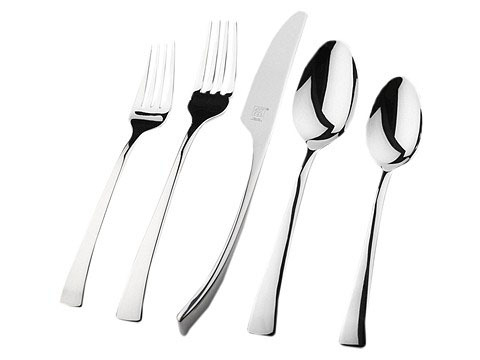 I usually don’t drop dead in my tracks when I go shopping for flatware. It’s functional and not always visually appealing. My dearest mother bought me a new set about 2 years ago because she said my target set had to go…. only problem was that the new set wasn’t much better. So when I found this set, I almost died. 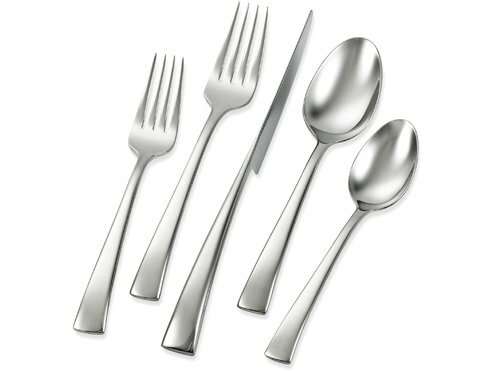 This Bellasera set is made by Henckles and is made as one solid piece with a very interesting knife design. It’s curved to fit the palm of your hand just right and can also be set to stand up as a unique alternative to the flat knives I’ve always purchased. The best part? On sale for $109.99 from $140 with an extra $10 off. I can’t wait to break them out of their packaging and give them a new home in my new kitchen! 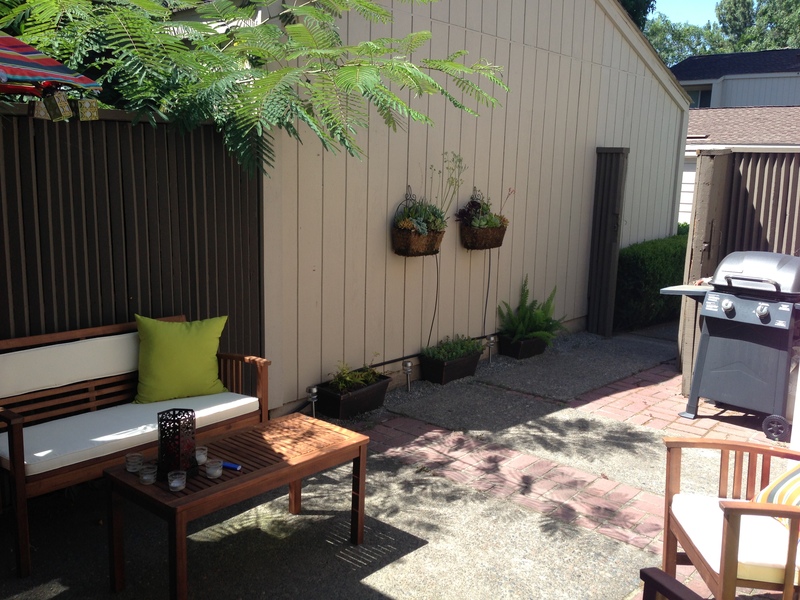 A place to relax and enjoy a glass (bottle) of wine! To something more comfortable and able to seat more people. 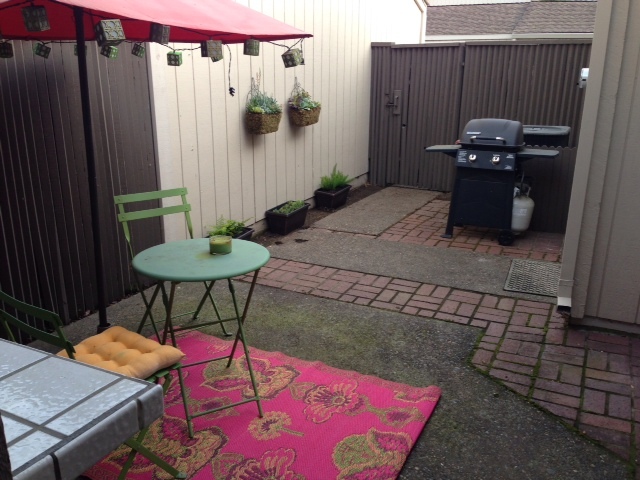 I was lucky enough to open an email from Cost Plus that showed a patio set for $199! I immediately made a trip over to the store to pay for a set and hold it! 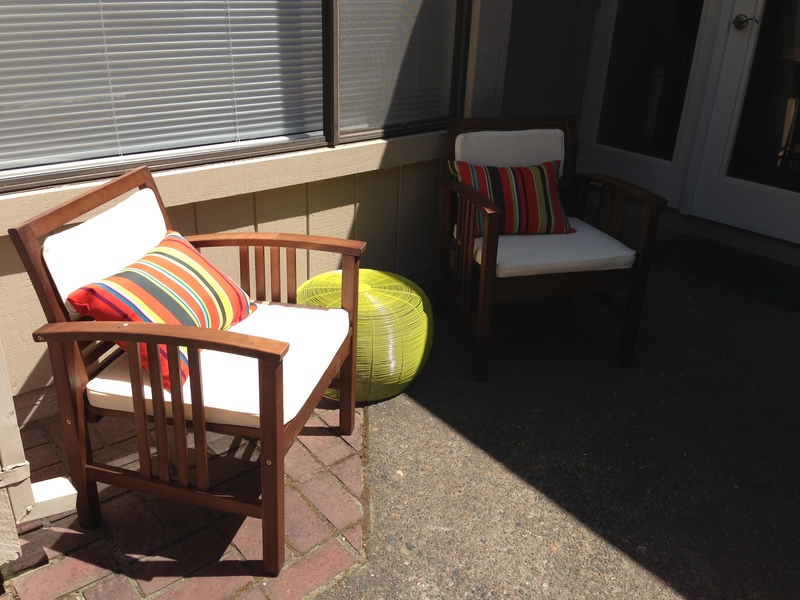 I had resigned myself to keeping my two seater table due to the ridiculous cost of patio furniture considering I had an entire house to renovate, but this fit into this bargain shopper’s budget just fine! I finished off the set with some accent pillows, a few candles, a new umbrella and a side table to bring in some additional color. 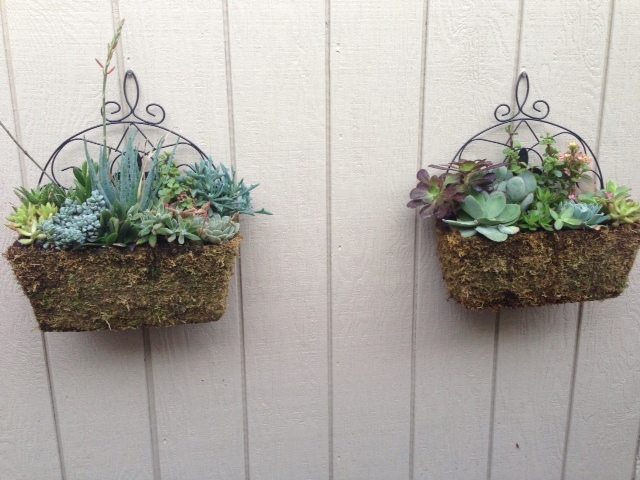 I also decided on some nice hanging succulent planters to give a little color to this little cement oasis! 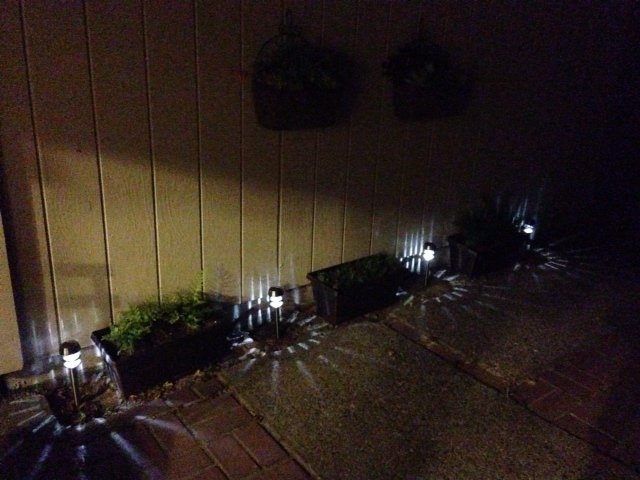 And some ambiance at night for an astonishing $2 per light! It makes for such a comfortable space to entertain and enjoy a cocktail after a long day! 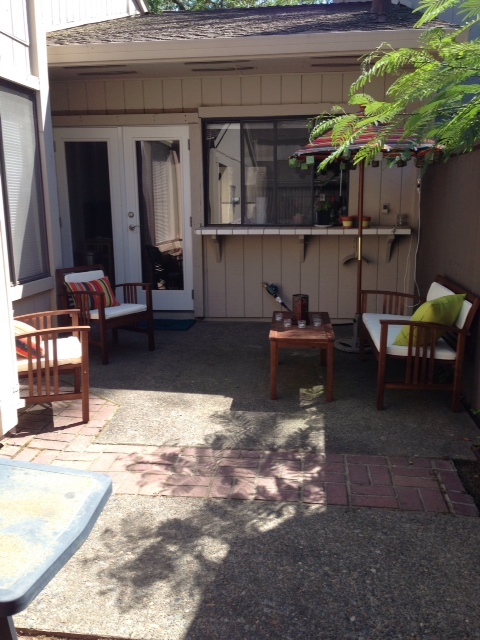 In the midst of a remodel it is so nice to have at least one space that is put together and doesn’t emit anxiety!!! Cheers to the summer months! I wish I could say a lot has been done while I have been MIA….